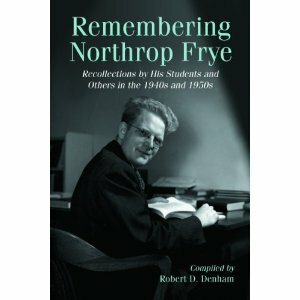 Robert Fulford’s review of Bob Denham’s Remembering Northrop Frye: Recollections By His Students and Others in the 1940s and 1950s, here. 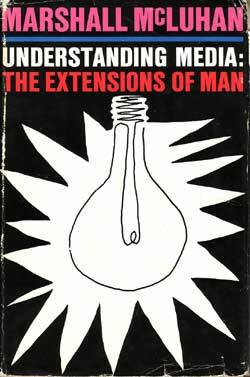 By 1946, when he was 34 years old, he stood at the centre of a circle — “We were a coterie,” as one member put it. Doug Fisher, one of many war veterans who came to university on a federal grant, took five Frye courses and edited the college literary magazine with Frye as faculty adviser. Fisher became a socialist politician and made his name in 1957 by unseating C.D. Howe, the most powerful minister in Ottawa; he later moved to journalism and after 40 years retired as dean of the Parliamentary Press Gallery. In the 1940s, Fisher noticed that Frye had more graduate students than any other professor, the largest audiences for his lectures and a claque of followers that no other teacher could equal. Fisher listened carefully to Frye’s words and for the rest of his life cherished them. Even after 50 years he would sometimes feel the need of fresh stimulation and dig out his Frye lecture notes on a subject like the Book of Job or Thomas Carlyle. 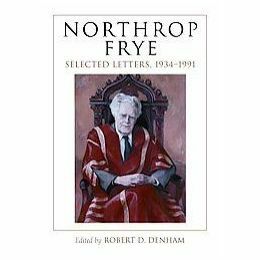 I’m quoting from Fisher’s remarks in a new book edited by Robert D. Denham,Remembering Northrop Frye: Recollections by His Students and Others in the 1940s and 1950s, published by a North Carolina firm, McFarland (mcfarlandpub.com). Denham, a professor at Roanoke College in Virginia and an expert on Frye, edited his diaries years ago. 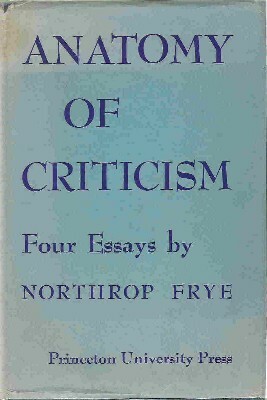 While working through Frye’s hasty journal entries, he wrote to many students and friends for help explaining them. 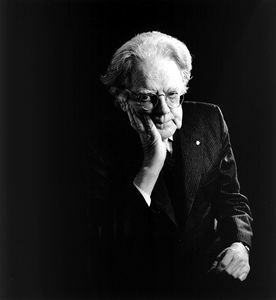 Remembering Northrop Frye brings together letters from 89 of the people who responded. They were all Frye-ites, the term one of them uses in his reply. Others called them Fryedolators. 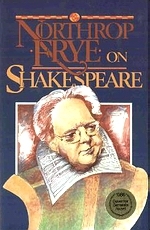 Irving Layton invented the term Frygians, suggesting they were cold and academic, like their leader; later he changed his views. Many of them, of course, knew each other long ago, which gives this book the feeling of a reunion. This entry was posted in Frye as Teacher, Memoir, Review on March 8, 2011 by Michael Happy. 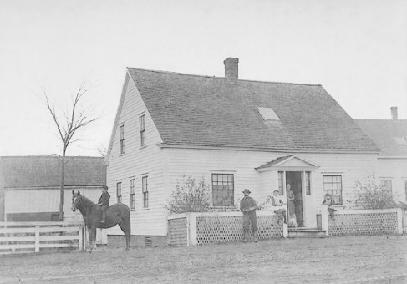 Elizabeth Bishop’s childhood home in Great Village, Nova Scotia. The parlour in which “First Death in Nova Scotia” is set is to the right. The skylight is over Bishop’s tiny bedroom: it was there as late as 1998 and may still be there. I was at a dinner at Harvard University seated beside a poet named Elizabeth Bishop, who was a New Englander with a summer cottage in Nova Scotia. She spent half her time in Nova Scotia, so much so that one or two Americans suggested Canadians really ought to make her Canada’s national poet. I think it was a bit of a problem for her too to decide whether she was Canadian or American, and she finally solved the problem by going to live in Brazil. However, she came back to Harvard. She was a very shy person and was very chagrined at being put beside me, because she was frightened by strangers of all kinds. She said, ‘I haven’t read any of your books.” I said, “Well, I haven’t read them either. 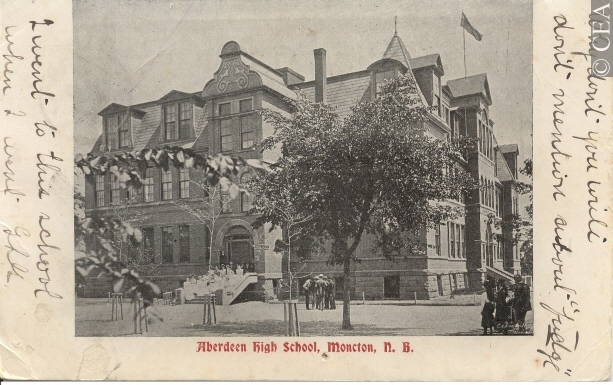 I’ve only proofread them.” Then she stared at me a while longer, and she said, “When was it that New Brunswick changed over from a left hand to a right hand drive.” “Well,” I said loudly and confidently, “September 1920.” I realized afterward that I had almost certainly got the date wrong. But what I do remember was the fact happening and my mother’s comment that they were going to have trouble with the horses, especially the milk team horses. In any case, whether I got the date right or not, it must have been around that time that the province discovered that there was a difference between the left hand and the right hand on the road. This entry was posted in Birthdays, Bob Denham, Memoir on February 8, 2011 by Bob Denham.